If you’re finally ready to create your Dream Business now, and the lifestyle you want and deserve, I am ready to help you! If you’re finally ready to say that ‘slow to no growth’ is no longer an acceptable option; and if you’re finally ready to take action now to move your business forward in a real and substantial way, then this is your chance to connect with me for a free private consult. This 30 minute consult is with me personally, not some other coach, and we will laser focus on your business. While every consult is different, given my track record as the Dream Business Coach, it is very likely we’ll uncover some hidden growth opportunities on our first call! This strategy session is also designed to help you understand the next steps required from you to be able to create a more profitable business faster. If you are ready to grow fast and have fun doing it, then I urge you to take immediate action and apply for this free consult. NOTE: Not every application is accepted as some situations are clearly not a good fit. However, every applicant will receive some valuable resources that can be used in your business, whether or not we have the opportunity to talk one on one. So take immediate action and complete the questions below. "This past year I had the privilege to mastermind with Jim Palmer; if you ever have an opportunity to do the same - don't hesitate. Jim has the ability to quickly zero in on the real issue and deliver ideas that are on point, specific, and immediately usable! Most importantly, Jim has one skill and one quality that are very scarce today. He really listens - like few people can! And he genuinely cares, wants to make a difference and does whatever he can to support others!" "If you want to take your business to the next level, then you NEED to be part of Jim Palmer's Virtual Mastermind and Coaching programs! Working with Jim has taken my business to a new level and equipped me to be a more successful entrepreneur. Plus, Jim is just fun to work with! Jim leads by example, values the synergy of the group process and has a generous habit of over delivering! Jim is my "go-to" coach for business growth and success!" "I can't say enough great things about Jim Palmer's mastermind and coaching program. I recently implemented just one of the many cutting edge marketing strategies I learned and netted a 240% return, coupled with ongoing monthly revenue! It's been the energizing bolt of lightning that I've been missing in my business. I highly recommend Jim's mastermind group to anyone who's serious about killing the lip service and ready to take action and grow their business." "Jim Palmer is all about taking action, but he takes the time to understand your strengths and uncover the lucrative opportunities in your business. My masterminding experiences with Jim allowed me to see results instantly, thus building up some great momentum. That momentum has lead to more leads and more paying customers in my business. Can't beat that!" "Masterminding with Jim Palmer is one of one of the most exciting, productive and profitable things I do for my business. When I'm in need of breakthrough ideas to increase my profitability, I turn to Jim. His insight and experience enables me to convert my business challenges into profit-producing opportunities that I could never have seen on my own. Jim is my behind-the-scenes "Ace In The Hole"... he makes me look good to my more than 1,300 consultants operating in 37 countries worldwide and he gets my highest and most respected endorsement." "I was a real newbie to mastermind groups; Jim’s was my first one and I can only say great things! 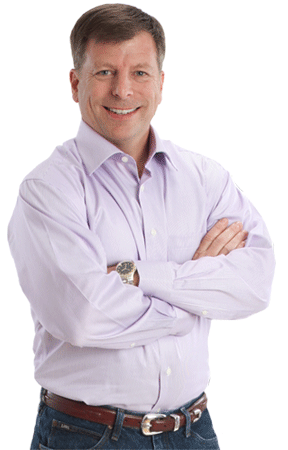 Jim does a fantastic job of giving practical advice and keeping you on track with your goals. I love the variety of businesses and experience in this group and that we all learn from each other. I completely trust my mastermind group members - they are very supportive! I feel more confident as an entrepreneur. Oh, and my income has grown upwards of 60% during this year! Jim, I cannot thank you enough for all your support!"